Since I’ve put myself into exile in my hometown, I haven’t been updated on the beauty scene. Unlike before, where I can literally walk to one of the biggest malls in Metro Manila, I need to commute about 45 minutes to get to a small one now. It’s helped me a lot in warding off temptation, but I have to admit: I miss being near the mall. I miss everything, especially the places where I can find cheap cute stuff. Thank the universe, the one “near” me has Daiso! I’ve seen a number of videos about Daiso makeup already, but it’s only recently that I decided to try something beauty-related from the store. I forgot to make a list of the makeup items that got good reviews online, though, so I picked up a makeup sponge and the hyaluronic acid gel instead. In true (pseudo)blogger fashion, I would like to reveal that this is my first makeup sponge. I meant to try one out for a while, but then I got over the entire beauty world for a bit. And now we’re here. I’ve already heard about how sponges like this expand, but it was still more fun to see it in action. Even my daughter thought it was funny. It’s not as soft as one would expect, but I don’t feel like my face will be covered in bruises after using it to pounce on makeup. I like how even my base looks when I use the sponge, but to be honest, and I may be one of the very few who think this, but I kinda like using brushes better. The pouncing gets tiring after awhile. And you have to wash the sponge right away to make sure that it doesn’t house bacteria. I do spot cleaning on my brushes, too, but deep cleaning — as you should for a sponge — is something I reserve for weekends, not everyday. After using it for about three times, it got torn. I decided it was time to put it in the trash instead of trying to make it work. With that said, I won’t re-purchase this. If you have makeup sponge suggestions, aside from the Beautyblender, send them my way! Now, I was skeptical about trying the Deep H Moisturizing Hyaluronic Acid Gel because for P88, I didn’t know how effective and safe it was going to be. Sure, if it doesn’t work, I won’t lose much. But what if it damages my skin? What if it burns or stings or gives me rashes? Well, it didn’t. In fact, it was surprisingly good. After using it for the first time, I woke up to smoother skin. I’m not kidding. With richer products, I get oily around the T-zone in the morning. Since it’s a gel, it’s pretty lightweight, but not overly so that it feels like I didn’t put anything on my face. (Compared to the iWhite Aqua Moisturizer, which is also gel-like, this really did hydrate my skin.) I’m not done putting it to the test yet. I’ll be back with a more in-depth review after a month or so. But so far, I am giddy about this product. Edit: I don’t think a proper post on the gel will happen because it broke me out. That is it, my friends. 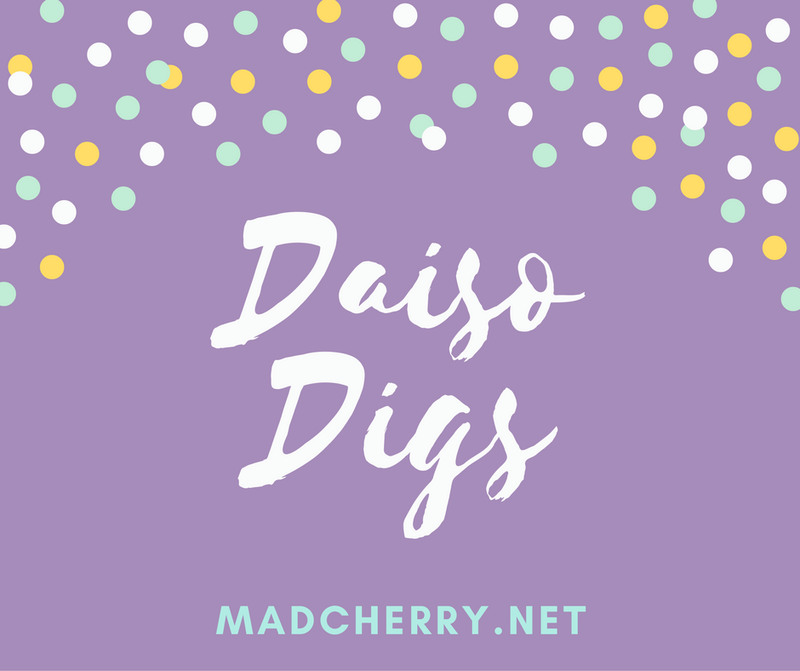 Have you tried anything from Daiso? Do you have a favorite? I’d love to know!